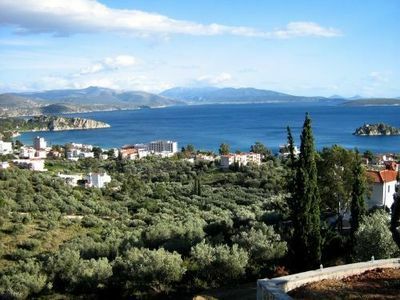 This beautiful house is located in the best area for vacations in Greece close to nice villas and with breathtaking view of the sea and the cosmopolitan island of Spetses. The house is approx. 400sqm and if needed can be treated as 3 different apartments. In this way the guests can have extra privacy if needed especially for a large member family. There is a big swimming pool with a pool house which serves the building. Also there is a parking area for 3 cars. The house is brand new nearly 3 years old with fully air-conditioning services. 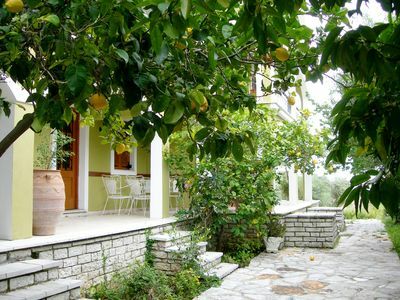 The house is located just 5 minutes from Kosta port area where the small boat takes you to Spetses Island. Its location is approx. 200metres from the beach. 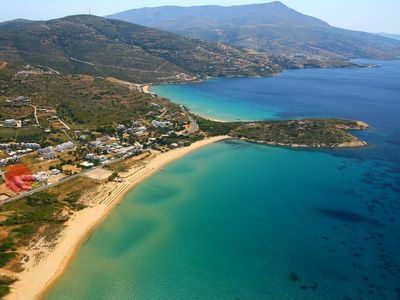 The beach is unorganized and is usually occupied from few people ( the residents/ owners of surrounding houses) and there is a set of umbrellas and loungers on the beach provided by the villa. 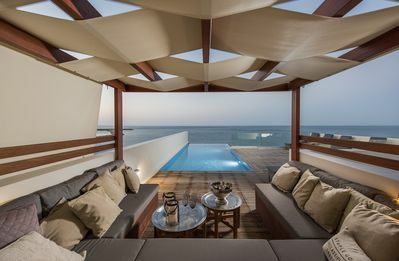 Ground Floor: The ground floor is fully equipped and has immediate access to the swimming pool. 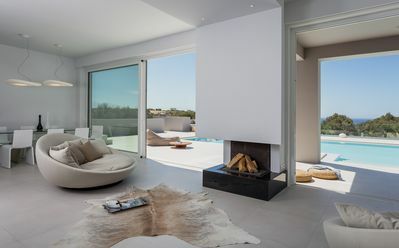 This floor has 2 big bedrooms with ensuite bathrooms. There is a fully equipped kitchen as well a dining room and a living room. There is also a service room for people who can be employed for in-house service. First Floor: This floor has 3 big bedrooms With ensuite bathrooms and an extra guest wc. 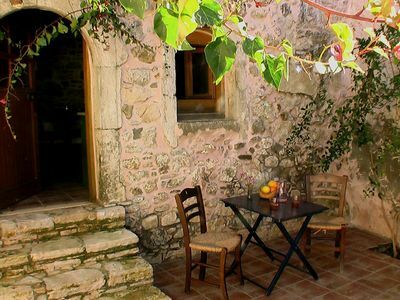 There is of course a kitchen with a big dining room inside and an extra exterior dining area which is of course protected from the elements for the guests to enjoy lunch or dinner. 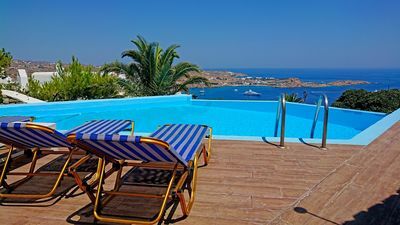 This living room is biggest of all of 3 floors with 2 big sofas and a bar area and has an incredible view to Spetses Island. 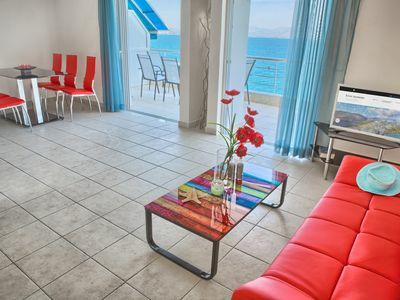 Also must be mentioned here that ther is a TV internet at every living room and at most of bedrooms and wi fi access in all floors. Second Floor: The second floor has 2 bedrooms with ensuite bathrooms, a kitchen and a living room with dining room. 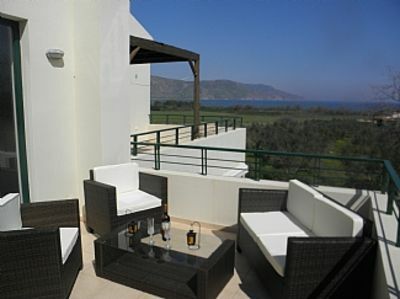 This veranda is enormous more than 100 sqm with spectacular view to the sunset! 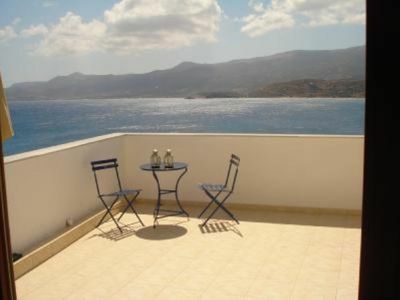 Apartment for 2/4 persons in Nissaki very close to the beach. 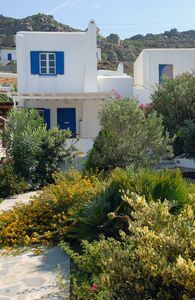 Modern Cycladic villa with 2 bedrooms, 60 meters from the sea. 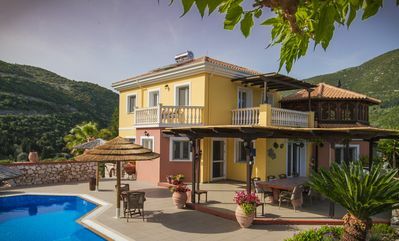 Askoutsi Manor! 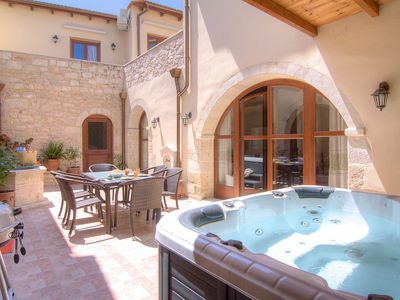 Unique manor with Jacuzzi terrace in a country side village!